In the movie Jaws, Captain Quint and Hooper sing an old sailors' song in which they say "Farewell and Adieu" to ladies from a particular country. Can You Guess in which country these ladies live? 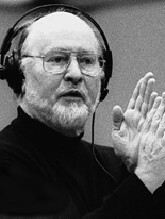 John Williams's Tree Song for Violin and Orchestra was first performed July 8, 2000 by Gil Shaham with Williams conducting the Boston Symphony, at Tanglewood. Williams was born on Long Island on February 8, 1932, the son of a percussionist for CBS Radio and the Raymond Scott Quintet. 1588 - English composer and lutenist John Dowland received his B. Mus. Degree from Christ Church, Oxford England. 1726 - Death of Italian composer Antonio Maria Bononcini in Modena. 1791 - Haydn was given the Mus. D. degree at Oxford. His thesis, The Oxford Symphony premiered there. 1839 - Death of Spanish composer Fernando Sor at age 61, in Paris. 1857 - Birth of Hungarian composer Rudolf Dellinger. 1874 - Premiere of Mussorgsky's Boris Godunov. 1882 - Percy Aldrich Grainger, Australian-American pianist and composer was born. 1900 - George Antheil, US composer, was born. 1931 - Louis Ballard Native American composer, was born in Devil's Promenade, Quapaw Indian Reservation, OK.
1940 - Premiere of Randall Thompson's Alleluia. Opening the Berkshire Music Center in Lenox, MA. 1949 - Death of Bohemian composer Riccardo Pick-Mangiagalli in Milan. 1953 - Birth of Chinese composer Zhou Long in Beijing. 1961 - Death of Spanish composer Julian Bautista in Buenos Aires. 1968 - Premiere of Lennox Berkeley's Magnificat in London. 1988 - Premiere of Philip Glass' opera The Making of the Representative for Planet 8. Based on a novel by Doris Lessing. Houston Grand Opera. After moving to Los Angeles in 1948, Williams formed a jazz band and started arranging tunes. At age 15, he decided to become a concert pianist, and he premiered his first composition, a piano sonata, at 19. Williams attended UCLA and Los Angeles City College, and studied orchestration under MGM musical associate Robert van Eps and composer Mario Castelnuovo-Tedesco. He conducted for the first time during 3 years in the US Air Force. Returning to private life, he entered Juilliard and studied performance under piano pedagogue Madame Rosina Lhevinne. He earned his way by playing in jazz clubs. Lhevinne urged him to focus on composition. Williams moved back to Los Angeles, and found work with the Hollywood studios as a piano player. He can be heard in South Pacific, Some Like it Hot, To Kill a Mockingbird, and the TV series "Peter Gunn". At age 24 Williams became a staff arranger at Columbia, then 20th Century-Fox, orchestrating for Alfred and Lionel Newman and Dimitri Tiomkin, among others. He performed and arranged for pop singers Vic Damone, Doris Day and Mahalia Jackson. This led to composing jobs in television for "Checkmate" (1960), "Gilligan's Island" (1964), "Lost in Space" (1965), and "Land of the Giants" (1968). He won Emmies for Heidi (1968) and Jane Eyre (1970). His continued arranging in the field of movies led to his first Oscar for adapting Fiddler on the Roof (1971). The score for The Reivers caught director Steven Spielberg's attention. Sugarland Express was popular, but the combination of Spielberg and Williams in Jaws (1975) was remarkable. It earned Williams his first Oscar for an original score. Spielberb recommended Williams to George Lucas for the first Star Wars movie, and a franchise was born. Williams would produce the scores for all six Star Wars movies. Starting in 1980 Williams became the conductor for the Boston Pops Orchestra, a post he would hold for 15 years. Williams was also the composer to write the theme for Los Angeles's Walt Disney Concert Hall. Williams has remained active in developing scores for almost innumerable films. The Poseidon Adventure, Towering Inferno, all 3 Indiana Jones movies, Saving Private Ryan and Schindler's List were all produced by Williams. He also wrote the scores for the Harry Potter movies (and arranged various themes into a suite to teach students about the symphony orchestra). As of this writing Williams remains active, with few signs of slowing down. His themes may be recognized by more people than any other living composer. Selections from Harry Potter and the Chamber of Secrets for Violin with Piano Accompaniment. 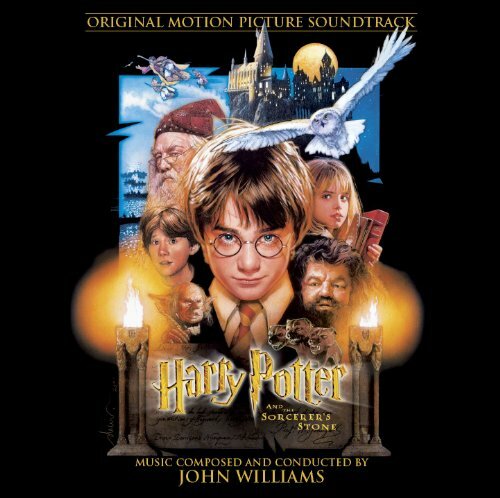 Selections from Harry Potter and the Prisoner of Azkaban for Violin with Piano Accompaniment. Selections from Harry Potter and the Goblet of Fire for Violin with Piano Accompaniment. We've got more John Williams Sheet Music than just Harry Potter. Click Here to see all of the John Williams collections for Violin available from Sheet Music Plus! We're All In This Together! It's not John Williams, but you can play along with this Sheet Music and CD combo of High School Musical! Get'cha Head in the Game and click here to order yours TODAY!